LYNN, Mass. 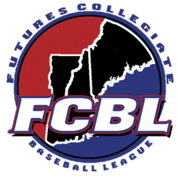 -- Four current or former members of the Futures Collegiate Baseball League’s North Shore Navigators were selected during the 2018 Major League Baseball First-Year Player Draft. The three-day event concluded Wednesday with the 11th through 40th rounds. Leading off the North Shore quartet was left-handed pitcher Steven Hajjar, who heard his name called by the Milwaukee Brewers in the 21st round. The North Andover native is slated to join the Navs this summer following the conclusion of his senior season at Central Catholic High School and prior to his collegiate career at the University of Michigan. Three former Navs were selected over the final 10 rounds of the day. St. Thomas Aquinas College teammates Giovanni Dingcong (2015) and Joey Pena (2016-17) were picked by the Oakland Athletics in the 30th and 33rd rounds, respectively, while Boston College southpaw Dan Metzdorf (2015) went to the New York Yankees in the 38th round. 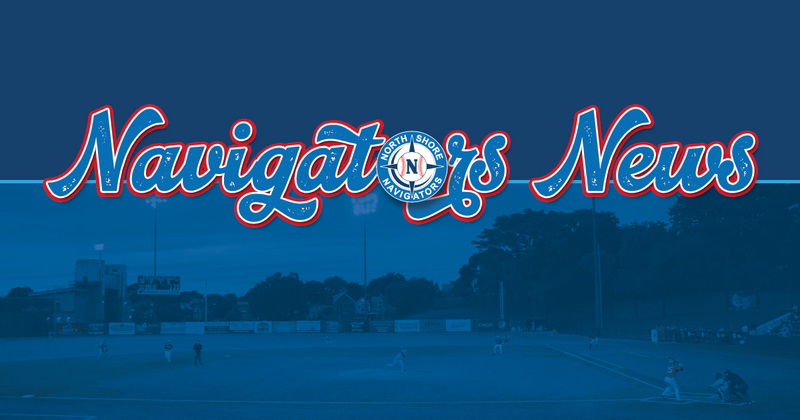 "This is one of the best draft classes that we have ever had," said Navigators interim general manager Joe Gill. "This is a true testament to the hard work that our players and coaches put forth on a daily basis. We are extremely excited for Steven, Gio, Joey, and Dan. They are all great ballplayers and even better teammates. We wish them nothing but the best as they take this step towards professional baseball." Hajjar is slated to come to Fraser Field along with Central teammate and future Vanderbilt catcher Dominic Keegan when their Super 8 tournament run is complete. The 6-foot-5 lefty was named Massachusetts Gatorade Player of the Year after compiling a 0.26 ERA and 41 strikeouts in just 27 innings of work over the Raiders’ first 16 games. Just one other high schooler has ever been drafted during their summer with the Navs as pitcher Ryley MacEachern (2013) was picked by the Philadelphia Phillies after his senior year at Salisbury School. The Saugus native played his three pro seasons in the Miami Marlins organization after being drafted following his second year at Stony Brook University. Dingcong and Pena become the first two players drafted out of STAC since 2010. Dingcong was named East Coast Conference Player of the Year this spring and joined Pena on the All-Conference First Team and as a Division 2 National Collegiate Baseball Writers All-East Region selection. Pena won the ECC’s batting title for the third time in four spring seasons after hitting .366 with 71 hits, 19 doubles, 50 runs scored, and 37 stolen bases as a senior. Dingcong is the only FCBL Home Run Derby champion from the Navs as he claimed the title when the All-Star Game was held at Fraser Field in 2015. He left the yard four times and drove home 20 runs that summer while ranking second on the team with five triples. Dingcong’s 47 home runs and 180 RBI over four springs rank first in STAC history. Pena played in 95 games over two seasons as a Navigator, ranking first or second in the franchise’s career record book in hits (89), runs scored (79), and walks (91), to name a few. The two-time All-Star shortstop led the FCBL in free passes in both of his seasons, including a record 47 in 2016. His .430 and .417 on-base percentages over the last two summers rank in the top five in team history. Since joining the Navs as one of four high school seniors on the 2015 roster, Metzdorf has spent the last two of his three collegiate seasons in BC’s weekend rotation. The Burlington native went 1-1 with a 3.86 ERA in 17 outings for North Shore, striking out 30 batters over 35 innings of work. Metzdorf has won five career games and collected 119 strikeouts in 158 innings of work for the Eagles. Prior to Wednesday, a current or former Navigator had not been drafted since 2016, when Richard Fecteau ― a former All-American second baseman for Salem State ― was one of two North Shore players called. Fecteau is currently playing for the Inland Empire 66ers of the Class A Advanced California League.